The National Organization for Women, a leading “partner” in the recent Washington, D.C., women’s march, is planning to come right here to Louisiana. 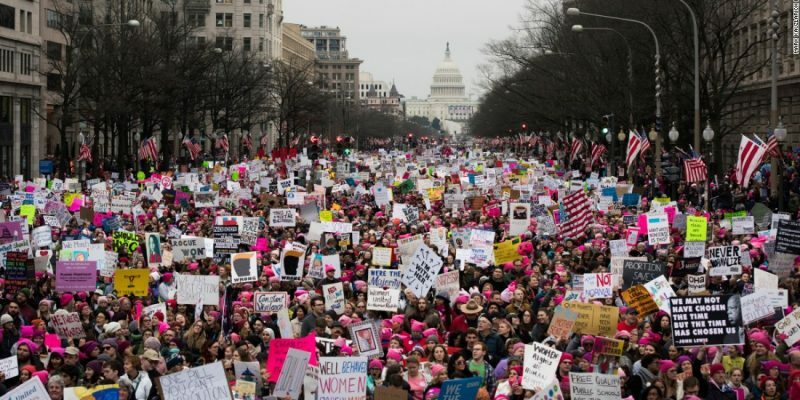 You know the story: multiple organizations with ties to George Soros organized an anti-Trump march for women that focused on women’s issues such as LGBTQIA rights, immigrant rights, and environmental justice. Madonna, for her part, spoke to the crowd saying she’d like to blow up the White House. NOW was a major organizer and sponsor of that event, with NOW chapters from across the country traveling to DC for the march. Remember, that this is all done as a counter-protest to the Louisiana Right to Life March North, which begins this Saturday morning at 9:30 am in Festival Plaza in Shreveport. 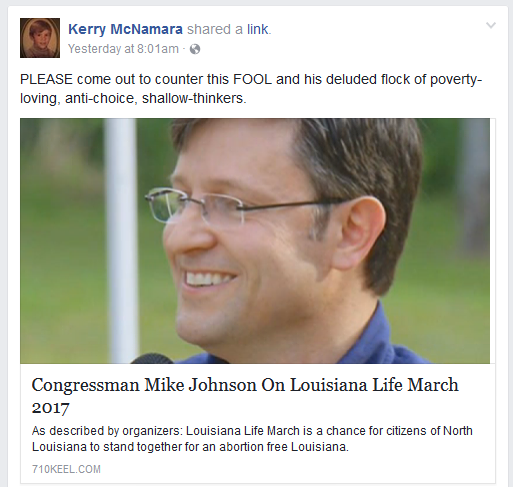 It seems to me that this is an opportunity for the pro-life masses of North Louisiana to express their strong support for life. In my view, nothing can be more sacred than life, and this is the perfect chance to show Louisiana and the nation who’s side we’re on. One can only hope that Madonna and those other celebrities come too. I’m not so sure they’ll find Louisiana as receptive to their message as they did the Federal Capital. Previous Article Is John Kennedy Using The U.S. Senate To Beat On JBE And Run For Governor In 2019?